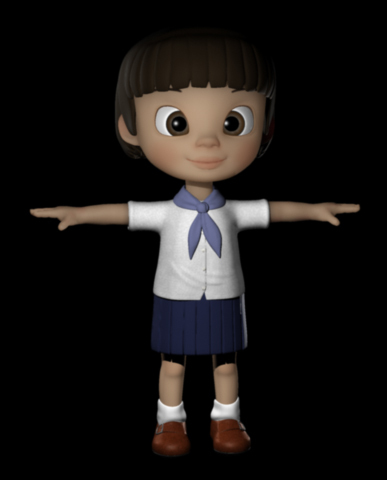 The main character of my thesis project is a middle-school girl, named Milly. and discovers a phone that enables her to talk to her mother in the other world. and Harry Stark does the rigging. I've been working on her texture in my "Character Look Development" class. and I used numerous deformers to deform the geometry. I used Toon shader to make the render look more like 2D. Please visit my thesis blog and character look development sites to see my progress.